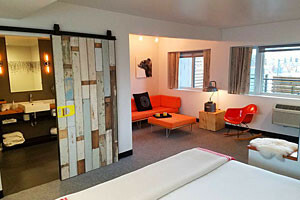 Located between Bozeman and Livingston on I-90, Bozeman Pass, Montana is not only a major route for locals and visitors, but also offers mountain views along wildlife migration routes. There are hundreds of miles to explore in the Bridger Mountains. 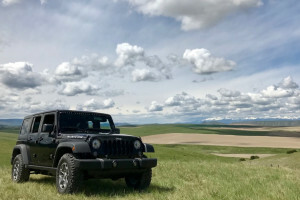 Why not see them in a safe and comfortable Jeep Wrangler. 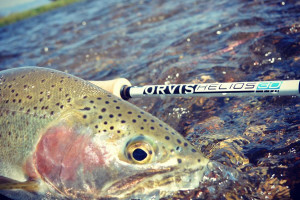 See our selection, models and extra features. Just a few block walk downtown, our budget-based motel is pet friendly, provides free breakfast, in-room microwave and fridge, and offers multi-bed suites. Dissecting the Gallatin and Bridger Mountains, Bozeman Pass, MT lies along I-90 between Bozeman and Livingston. Help protect wildlife populations by driving with awareness and becoming a volunteer wildlife sighter. 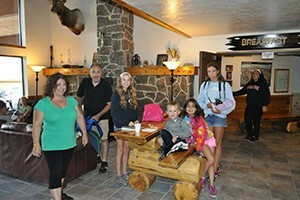 Also a historic travel route, Bozeman Pass was traveled by Sacagawea and the Lewis and Clark expedition upon their return journey from the Pacific. Located between the Bridger and Gallatin Mountains, Bozeman Pass, Montana lies along Interstate 90 / U.S. 191 between Bozeman and Livingston. Not only is it a major thoroughfare, there are also ample opportunities for beautiful scenery on a clear day and wildlife viewing. With an elevation of 5819 ft, Bozeman Pass, MT lies 13 miles east of Bozeman, just before the town of Livingston. Not only is Bozeman Pass/I-90 the main thoroughfare for those living in these two towns, but also for many visitors to Montana or those traveling across the country. 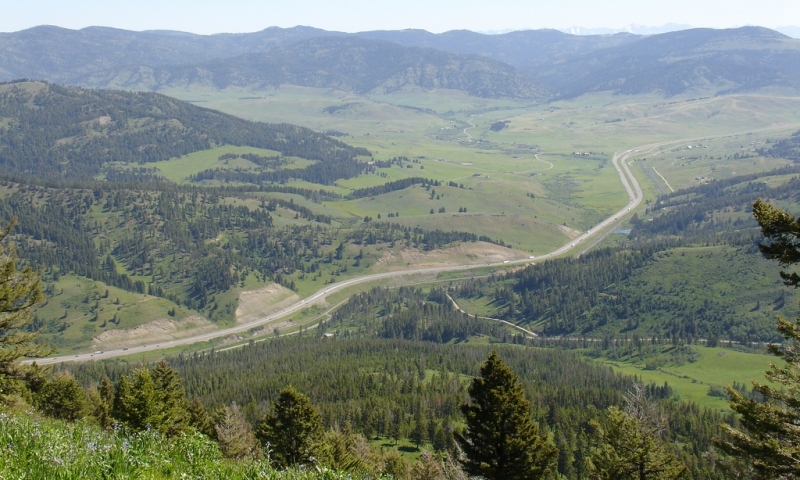 Bozeman Pass Highway not only accommodates motorized vehicles but also acts as a vital wildlife corridor linking two large chunks of prime habitat. 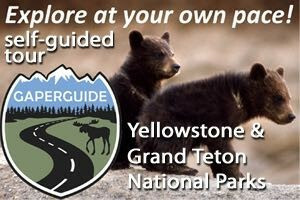 For thousands of generation, animals have traveled across Bozeman Pass between the Bridger and Gallatin Mountains where they breed, calf and find summer or winter range. In the past few decades, the automobile has become a new deadly predator against which the animals can offer no defense. With American Wildlife's I-Spy program, help these animals by becoming a volunteer wildlife sighter. Based on observations, wildlife crossing hotspots are identified, leading to placement of new fencing, warning signs, crossing structures and other safety features. Bozeman Pass is located along the historic route Lewis and Clark traveled while discovering the west. In 1806, Sacagawea guided the Clark contingent over an old buffalo road through what is now known as Bozeman Pass upon their return journey from the Pacific. Eastward bound, they entered the Yellowstone River Valley, built canoes and proceeded downriver to the Missouri, where a reuniting with the Lewis party took place. Bozeman Pass on I-90 is open throughout entire year. There may be occasional temporary closures due to significant snowstorms, so be sure to check ahead if traveling during the winter for conditions and temporary closures. 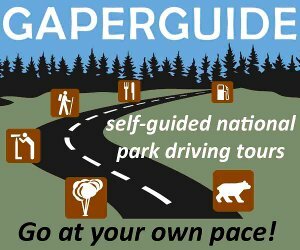 GaperGuide: Fun, Detailed Tour At Your Own Pace! 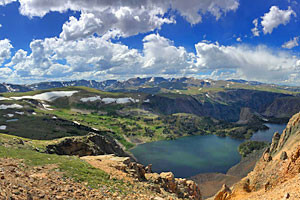 The Beartooth Highway and pass is one of the most dramatic drives in the US. Scenic mountain pass along the border of Glacier National Park.